Worth a look – a true navigational aid, in a way that today’s street view technologies don’t achieve. Impressive shift in the state of the art. India’s $35 touch-screen computer – could change BRIC internet from mobile focus? 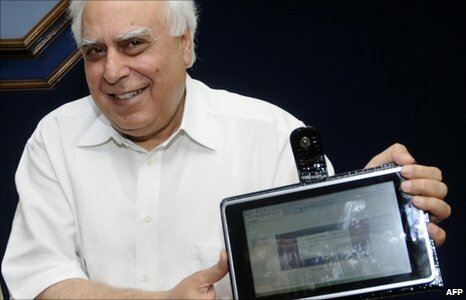 The Indian government has unveiled the prototype of an iPad-like touch-screen laptop, with a price tag of $35 (? ?23), which it hopes to roll out next year. If this price point can be reached in practice, could it change the trajectory toward small screen internet in developing areas? I think it could have a massive impact, and will be tracking this area closely.